Twentieth anniversary of Pacha Khan’s death in Bonn, 20.1.2008: Suggestions and Resolutions – AFGHANIC e.V. A comprehensive Afghan seminar on Pacha Khan and the issue of Non-Violence in Islam organized by the Society for Promotion of Afghan Culture. a. Abdul Ghafar Khan: Fait is a Battle (1967), Dinanath Gopal Tendulkar, Bombay, Published for Gandhi Peace Foundation by Popular Prakashan. b. Eknath Easwaran (1999). Non-violent soldier of Islam: Ghaffar Khan: a man to match his mountains. Nilgiri Press, Tomales, CA. ISBN 1-888314-00-1.
c. Rajmohan Gandhi (2004). Ghaffar Khan: non-violent Badshah of the Pakhtuns. Viking, New Delhi. ISBN 0-670-05765-7.
d. Mukulika Banerjee (2000). Pathan Unarmed: Opposition & Memory in the North West Frontier. School of American Research Press. 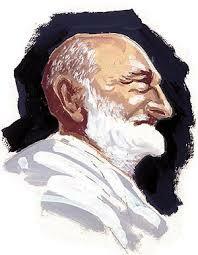 ISBN 0-933452-68-3.
e. Khan Abdul Ghaffar Khan: A True Servant of Humanity by Girdhari Lal Puri, pp. 188-190.
f. Pilgrimage for Peace: Gandhi and Frontier Gandhi Among N.W.F. Pathans, Pyarelal, Ahmedabad, Navajivan Publishing House, 1950.
g. Khan Abdul Ghaffar Khan: A Centennial Tribute by Nehru Memorial Museum and Library and Abdul Ghaffar Khan (Hardcover – Dec 1995). h. Khudai Khidmatgar and National Movement: Momentous speeches of Badshah Khan by Abdul Ghaffar Khan (Unknown Binding – 1992). Reprint of Zma Jwand, Zma Jad wa Jahd, conditioned that the already published copy is not in the market for purchase. This book is translated into English in a condensed version. We request the interested scholars and association to take the initiative and translate it in its entirety. Reprint of Pacha Khan’s My Life and Struggle. Translation of My Life and Struggle from English into German. Afghanic would try to provide the necessary means for translation and printing. Paper presentation in English and in German on Pacha Khan and the Issue of Non-Violence in Islam. The following people were selected to organize this section of the seminar: Dr. Abdul Raof Khpalwak, Hedayatullahn Bangash, and Dr. Yahya Wardak. We are declaring the year 2008 as the year of Pacha Khan. We request the media and cultural societies and associations to write and publish about Pacha Khan and the Issue of Non-Violence in Islam and have at least one special program on the above mentioned issues. With the help of Lar Aw Bar website, we plan to launch another website which would provide information about the seminar and help in coordination and cooperation. We request various Afghan cultural associations in Europe to organize conferences and seminars on Pacha Khan, the issue of non-violence, and the Pashtoons’ struggle for freedom and independence. Furthermore, we would contact cultural centers in Afghanistan and request their assistance in publishing and distributing Pacha Khan’s Works and thoughts. The archive of the Afghanistan Information Center (Afghanic) would provide information, books, magazines, news clips, and photos on Pacha Khan. Therefore, we request our countrymen to help us expand selection and build our archive by providing us with materials on Pacha Khan.